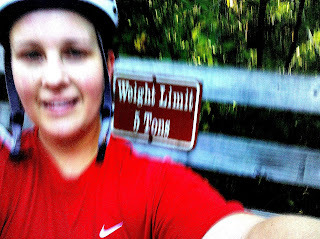 ….road biking at the Silver Comet Trail. Found this sign by a bridge. A little funny, considering…5 tonnage is how I am feeling today. Bobby Ray, I’ll Be Back!